Sri Venkateswara Lotus Temple Fairfax of Virginia was established in the year 2003 to serve the devotional, cultural and spiritual needs of the Northern Virgina community in accordance with distinctly Vedic traditions. Sri Venkateswara Lotus Temple Fairfax acquired approximately 18 acres of land in 2003 and 2005 at Braddock Road, Fairfax, Virginia. The temple is in the form of Lotus with petals suspended in the pond. The significance Lotus flower personifies serenity, grandeur, and wealth. Lotus flower quality is to remain pure and clean even if surrounded by dirt and malice. 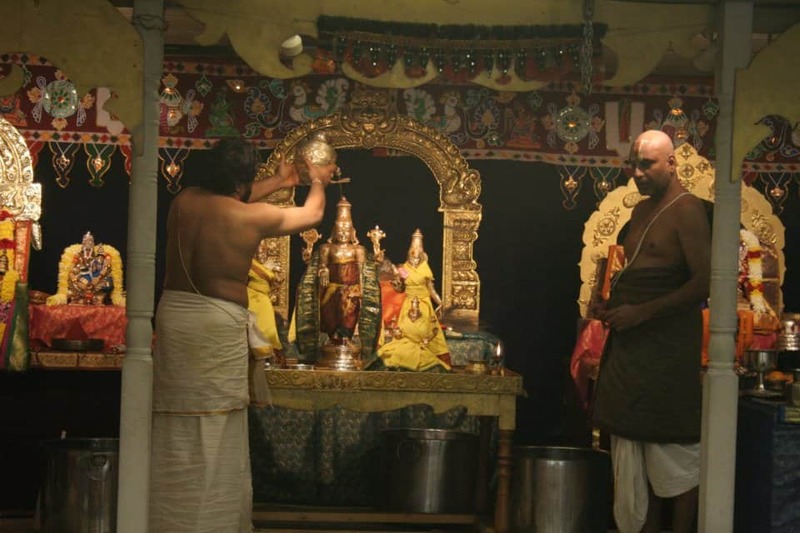 One of the main focus of the temple is to foster Hindu values among the children and youths living in this country and create an awareness among them of India’s eternal and priceless spiritual heritage and richness of our cultural traditions. To achieve this, the Temple programs are specially designed with Children Participation foremost in mind. Sri Venkateswara Lotus Temple Fairfax has been serving the community from its current location for last four years. Lack of space and facilities has been felt increasingly during the last four years. 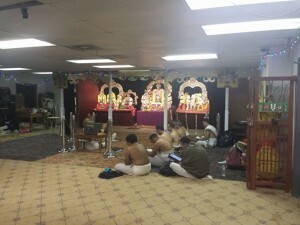 Encouraged by active participation and support of several individuals and businesses in the community, Sri Venkateswara Lotus Temple Fairfax launched the BALALAYA/PRAYER HALL Project in 2008 as an interim measure to accommodate the growing devotees’ requirement without loosing sight of our goal to complete the main temple by 2014. 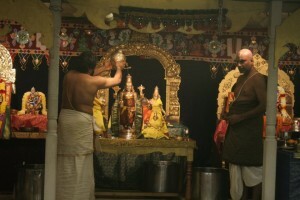 The temple adheres to the Indian traditional concept of Garbagraha in a prayer Hall, where the presiding Deitiy Sri Venkateswara with his consort Sridevi and Bhudevi are housed .The original installations of the Vigrahas of Lord Sri Venkateswara , Sridevi and Bhudevi , Sri Rama Parivaram, Sri Mahalakshmi Thayar, Sri Andal , Sri Krishna, Sri Sudarsana and Alwar and Acharyas was performed in the year 2003 were designed and made in Panchaloha . These Panchaloha Vigrahas were envisaged as temporary installations pending the construction of a more spacious and magnificent temple of our dreams in this city. The temple founders and management is pursuing with passion and sincerity an aggressive time line to start the construction of the temple. Conceptual design of the Sri Venkateswara Lotus Temple Fairfax main temple was completed in 2005 and zoning permit was received from Fairfax County for the construction. 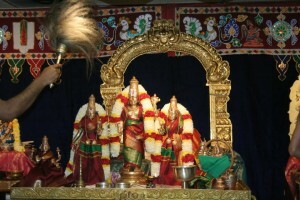 The detailed design for the main temple is planned to be completed by end of 2013 and the construction would start in 2014. Sri venkateswara Lotus Temple was incorporated as a religious Non-profit organization on October 2003 under the laws of Virginia state. The IRS letter determining Sri Venkateswara Lotus Temple as a tax-exempt Non-profit organization covered by section 501(C )( 3 ) of the IRS code was issued in December, 2007. The IRS letter also provided that donations made by donors to Sri Venkateswara Lotus Temple is tax deductible under section 170 of IRS code. Sri Venkateswara Lotus Temple gives great importance for keeping its books and transactions totally open to the donors, devotees and the general public and have committed to go far beyond the statutory requirements in matters of disclosure and accountability. Sri Venkateswara Lotus Temple Fairfax is committed to promoting and preserving our rich heritage and traditions through religious, educational and cultural activities and giving the best to our youth and at the same time capitalizing on the knowledge our elders’ here can share. To accomplish our commitment Sri Venkateswara Lotus Temple Fairfax was envisioned and the result was the plan to build this unique Temple and a Cultural Center. 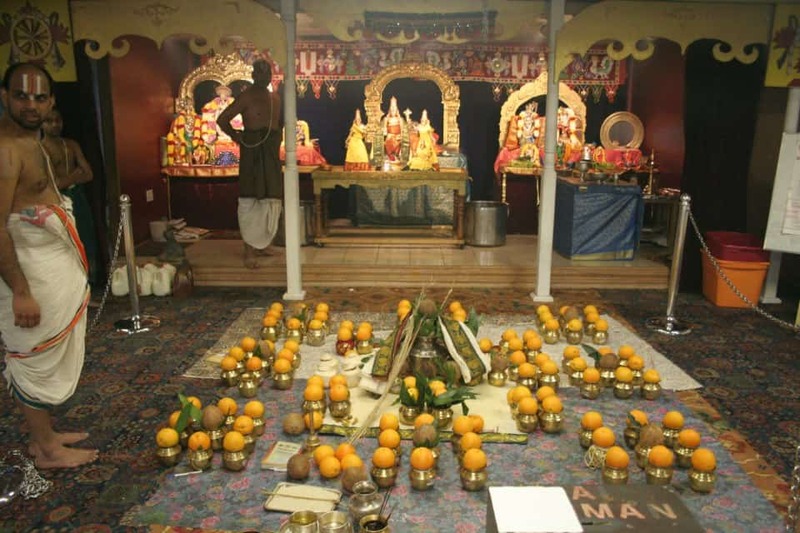 Sri Venkateswara Lotus Temple Fairfax will provide a forum for religious worship and traditional celebrations, and cultural activities in the Northern Virginia and surrounding area. 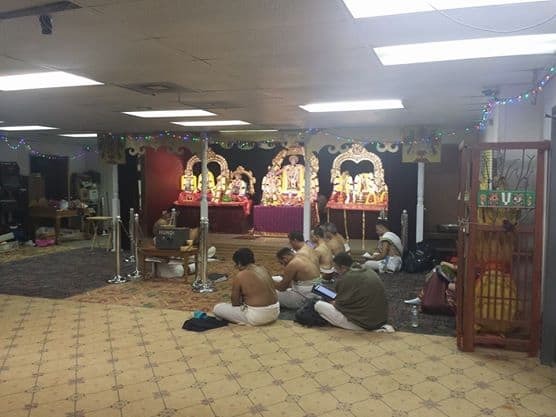 The project is for the entire community and Sri Venkateswara Lotus Temple Fairfax is counting on the entire community taking ownership by extending full support. 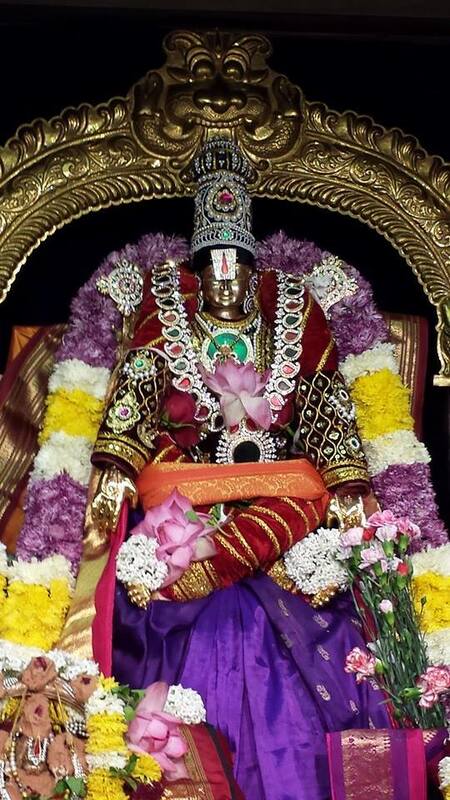 May Lord Sri Venkateswara’s blessings be always with you.